1. 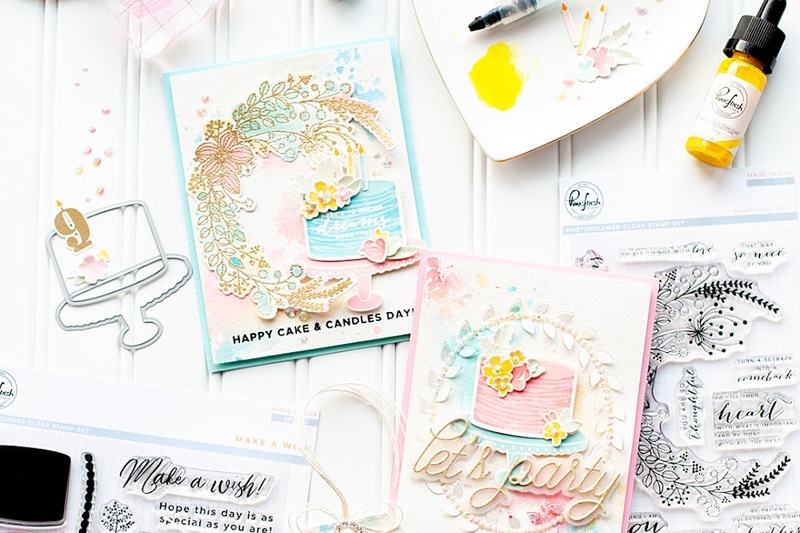 Make A2 card from vintage cream cardstock. 2. Cut two blocks of patterned paper and distress ink the edges. 3. Layer together, stitch along the seam and adhere. 4. Distress ink the edges of a diecut tag, then stamp the sentiment to it. 5. 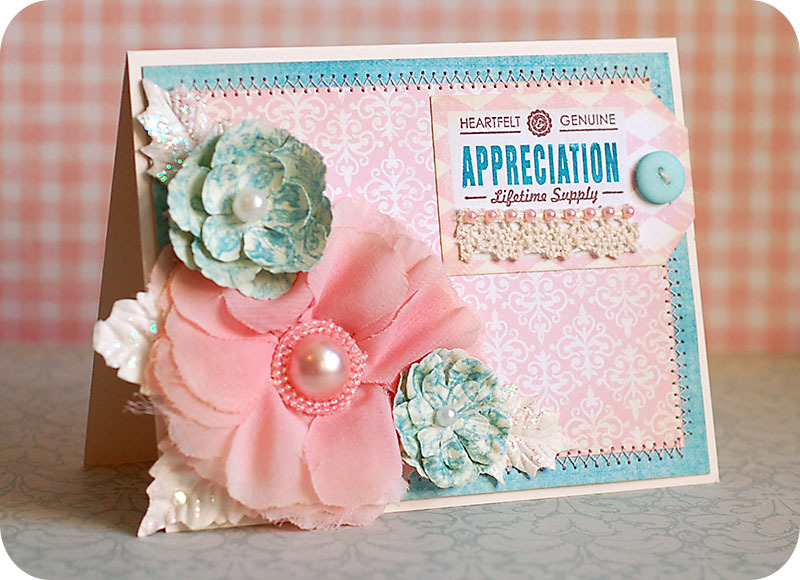 Adhere it to the card front, then accent with trim, pearls & a twine-threaded button. 6. Arrange white paper leaves and three flowers in the lower left corner to finish. 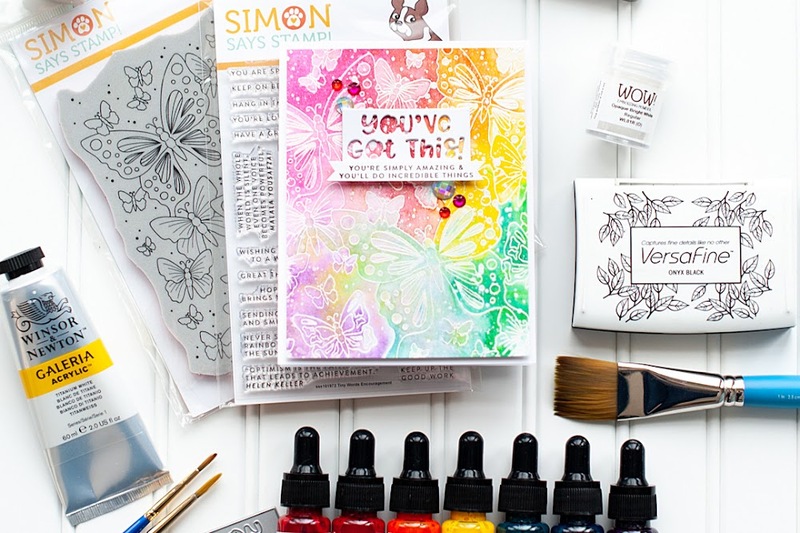 If the Sweet Afternoon 6x6 paper pad wasn't enough, the collection also has some sheets of matching diecuts- which is where the sweet sentiment tag came from. I stamped a greeting to it from my personal collection of stamps and then accented it with crocheted lace, pearls & a twine threaded button. While this card has quite a few layers...it still has a simple design and could easily be replicated. Pick out your favorite papers and flowers, and go to town! Or better yet, get some Sweet Afternoon product for yourself! Teresa Collins "Sweet Afternoon" is still available in the StopAndScrap.com store, so just click on the banner below and it will take you right to where you can order! Thanks for hanging out with me today!! I hope that you enjoyed my Sweet Afternoon project! Just so beautiful and creative. Thank you for joining us in Flourishes Timeless Tuesday! Such pretty papers...and the flower cluster is fantastic! Fabulous card! I love the pretty flowers and the tag! Simply beautiful! Love the soft color palette. Delightful LO. Thanks for sharing with Flourishes Timeless Tuesdays. Beautiful, just love the flower arrangement. Thanks for joining in with The Shabby Tearoom this week. 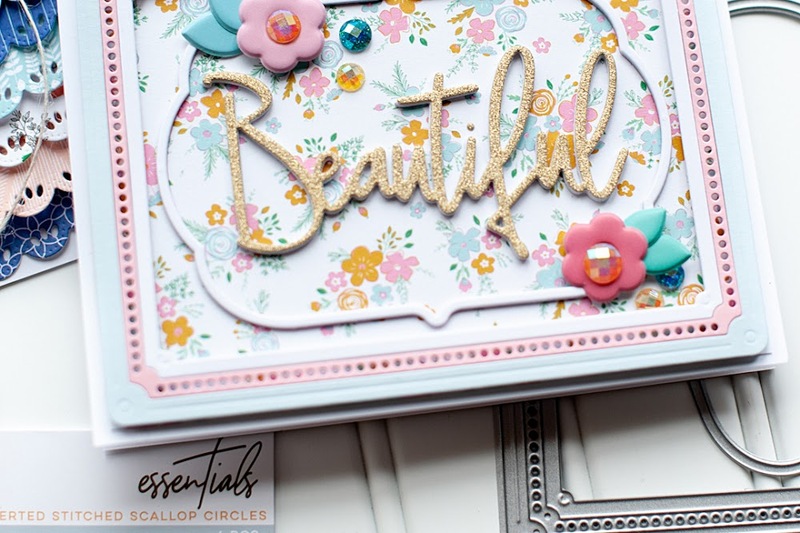 Gorgeous, beautiful card, love the colours and the details.